You most likely know how this blog is going to go even before I write it L0L. I write (and talk) a lot about the Ego, it is a passionate topic of mine because becoming aware of my Ego mind not only saved my life, it has enhanced it in so many magical ways as well. Many humans are not conscious of the voice they hear in their head, the one which communicates to them constantly and is responsible for how they feel, act, think, breathe and vocalize themselves in the World. I believe my purpose is to shed some light on the topic of the Ego, so what will become illuminated is a better understanding of how much control it has over your life. I write and talk about the Ego because my wish is you will find the courage to confront the authority which has far too much of a dominant influence over your behaviours, it is time to take back command of your existence, so you may get to know the Soul of who you are and live a better life. Making time for creativity doesn’t have to be seen as a luxury but rather should be viewed as a necessity. We all have busy lives and I understand allotting space for something the Ego might say is a waste of time, actually isn’t in a very big way. 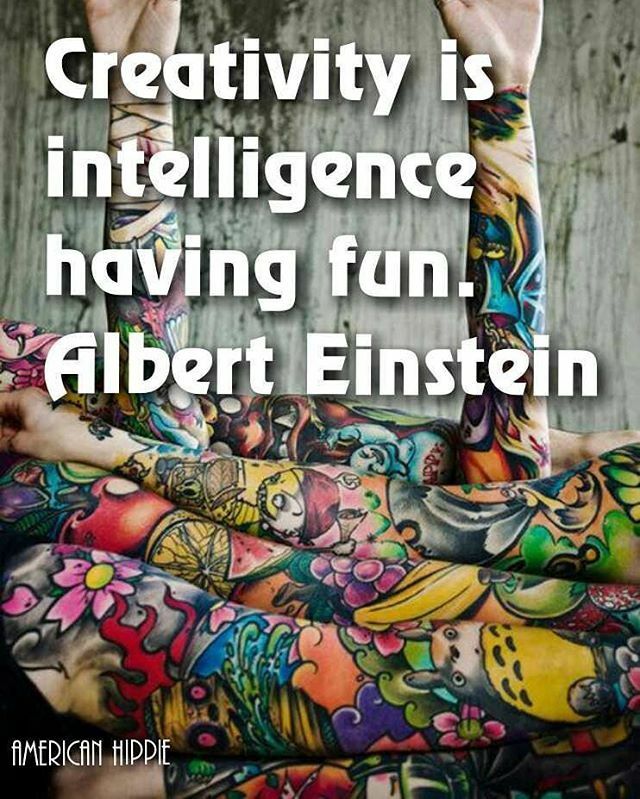 Creativity is the missing component that assists us in functioning at our absolute best. We endanger our physical, mental and emotional wellbeing when we ignore our impulse to create. You don’t have to be a creative genius to improve your quality of life, all that is required is you learn how to embrace creativity in your own unique way. Taking time to create (in whatever way) weakens the Ego and builds healthy self-esteem, self-worth and self-respect, creativity empowers our Soul so why would you consciously choose not to gift yourself some precious time for YOU? Explore the Hippy in you and get creative.